Located on Fiji's magnificent Coral Coast , the Beachouse is ideal for those who want a central home base for their Fiji adventure. 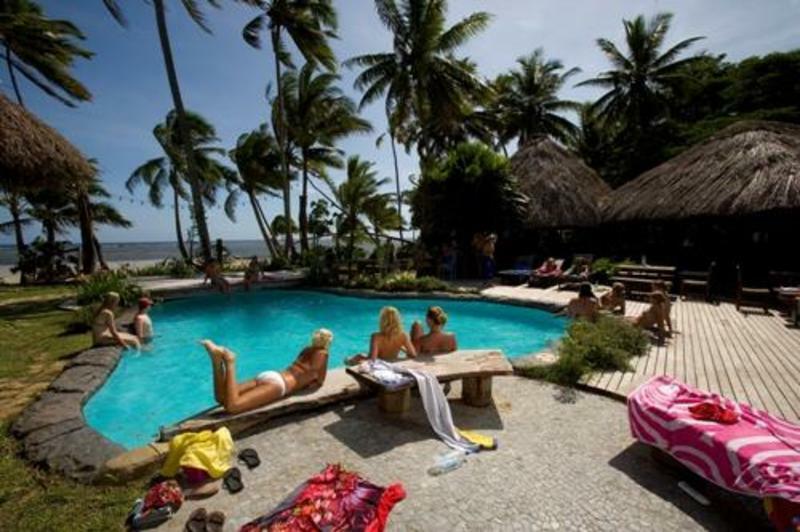 The Beachouse was one of Fiji's first Backpacker resorts having opened its doors in 1996. Our dorms are spacious and the garden doubles have either queen or king size beds.The resort is nestled within a delightful four hectare coconut grove fringed by a white sandy beach with a living coral reef only metres away! A five star location at affordable prices!! 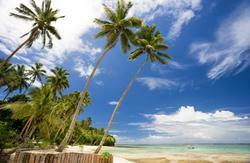 The Beachouse offers the best of Fiji's natural beauty and charm. In 2006 the Beachouse was the filming location of the UK TV production 'Love Island'. We are now back to doing what we do best - looking after travellers. All accommodation includes a continental breakfast, afternoon tea daily and free use of sea kayaks. With a poolside cafe and bar situated only 30 metres from the beach, you won't have to move far to rehydrate or appease your appetite. If you are on a budget, we have cooking facilities readily available in our guest kitchen (not commonly found in Fiji resorts & hostels). When in Fiji, you can use our tollfree number to get any further information you may require. Simply call us and we will be happy to help you. There is a local bus service to the Beachouse approximately every hour (during daylight hours) from Lautoka, Nadi or Suva. Simply ask a local where the nearest bus stop is (one opposite the airport). There is a bus timetable on our website. All the buses stop at the Beachouse (about 40 minutes after the Sigatoka stop when coming from Nadi). The buses drop you at the entrance to the Beachouse and it is only a 2 minute walk to the Resort and the Beach. If you arrive in Nadi after sunset, we suggest that you stay a night in Nadi and then travel to the Beachouse the next day.